You can have ALL OF THE ABOVE for your OWN DOMAIN! CONTACT US to set this up for your BUSINESS! Sorry, I couldn’t help myself… these are the Top 18 Reasons Why we love Gmail for the Small Business Person’s email system… there are many more reasons also! 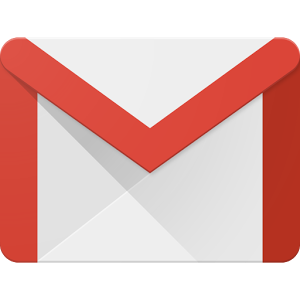 Learn more about these features by watching the videos below created by other individuals who love Gmail also! Also, I would recommend adding your Facebook, Twitter and LinkedIn.com URL’s to your signature line if you have these and they are appropriate for your Gmail email address. In other words, if this is your WORK email, only include work related Facebook, Twitter and LinkedIn.com URL’s. Video #4: Gmail Keyboard Shortcuts – work even faster! And remember, as Reason #18 specified, we can help you set all this up for your own BUSINESS DOMAIN. Google has a service called Google Apps for Domains that allows you to set this up for your OWN domain. Now the technical aspects of this can get a little tricky, so feel free to ask for HELP and we would be willing to set this up for YOUR business without cost! Just fill out the CONTACT US form and mention this blog article to get it for free!